The Carolina Panthers are coming to Philadelphia to take on the Eagles for the Monday Night Football for 11th November 2014. The home team is a 7 point favorite with the total set at 49 points. The Eagles will miss their star QB Nick Foles who was injured late in the first quarter at Houston last week as they defeated the Texans 31-21 at Houston last week. We will instead see Mark Sanchez under center tonight, making his first start since last 2012. Sanchez completed 15 of 22 passes for 202 yards and two TDs against Houston, and looked like he was up for the task. 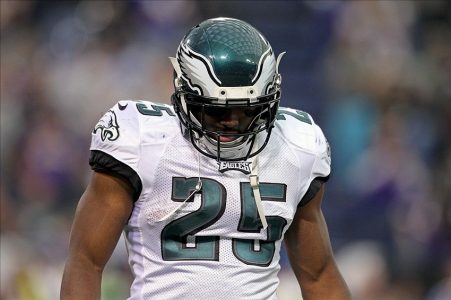 If the passing game goes stale, the Eagles can always rely on LeSean McCoy who has 349 yards on 5.3 yards per carry over his last three games. He could be in for another big game here against a Panthers D that has allowed 134.8 running yards per game over their last four. The visitors can start with their first choice QB Cam Newton, but he’s coming off a disappointing performance as he completed a career-worst 10 of 28 passes for 151 yards with one INT against the Saints in last weeks 28-10 loss. The Panthers are 2-5 ATS in their last seven road games, and this should be a good spot to back the home team.